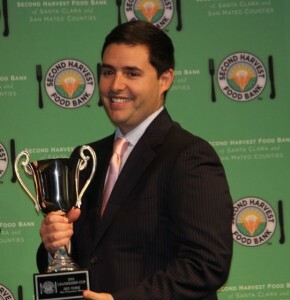 Jed York, CEO of the San Francisco 49ers, and co-chair of the Second Harvest Food Bank 2012-13 holiday drive. ‘Good work! Keep going to end hunger!’, was the general message at Second Harvest Food Bank’s 22nd annual recognition event, this year called the “Make Hunger History Awards”, held Thursday, April 4, at the Computer Museum in Mountain View. She asked the few hundred of the food bank’s faithful present to “double down” on fundraising this year to end childhood hunger, by doubling cash donations, holding food drives during both the holidays and the summer, or involving more friends and colleagues in drives. 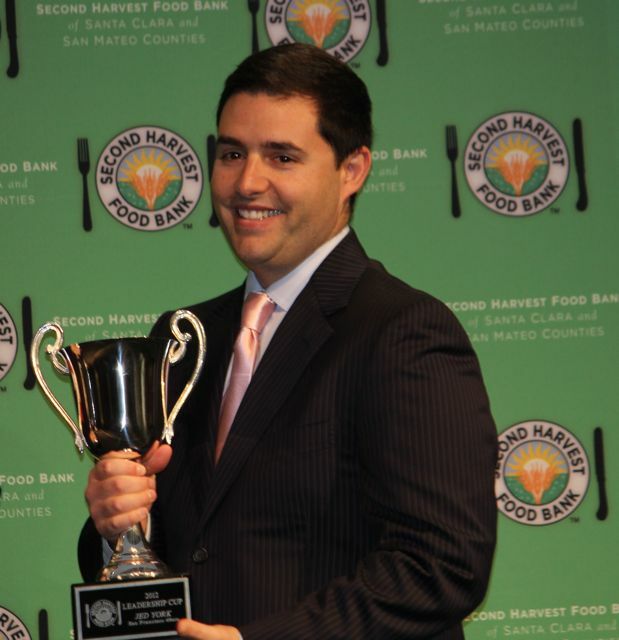 Earlier the crowd was celebrated for raising $12.1 million worth of food and cash from October 2012, to January 2013, during the annual Holiday Food and Fund Drive for the nonprofit that covers Santa Clara and San Mateo counties. The men of the hour on April 4 were co-chairs Dan Campbell, a COO at EMC Corporation, B.J. Jenkins, CEO of Barracuda Networks, and the crowd favorite Jed York, CEO of the San Francisco 49ers, last season’s National Football Conference West champions. 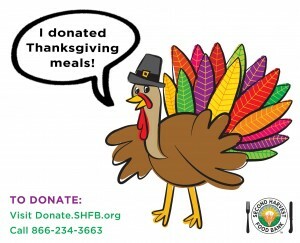 The holiday food drive actually fell $300,000 short of it’s original goal of raising $12.4 million, the equivalent of 600,000 meals, but it was announced at the event that after a March 14 public announcement of the shortfall, locals responded by chipping in an additional $431,000.